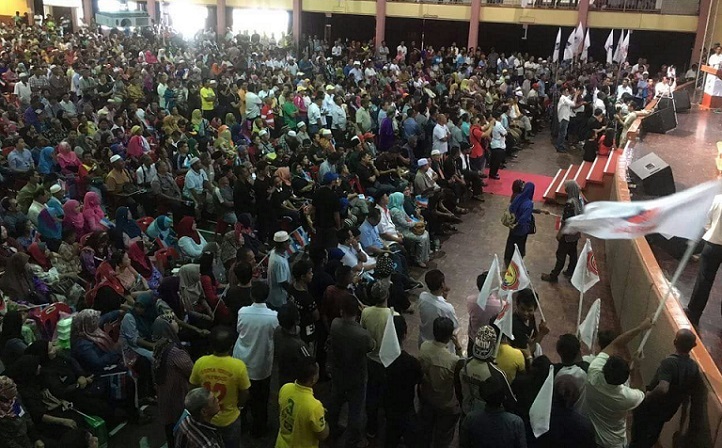 SANDAKAN – Parti Warisan Sabah went into high gear Sunday in Sandakan – the stronghold of Chief Minister Datuk Musa Aman – in its membership drive, and came away with a a more than impressive 12,800 new members. 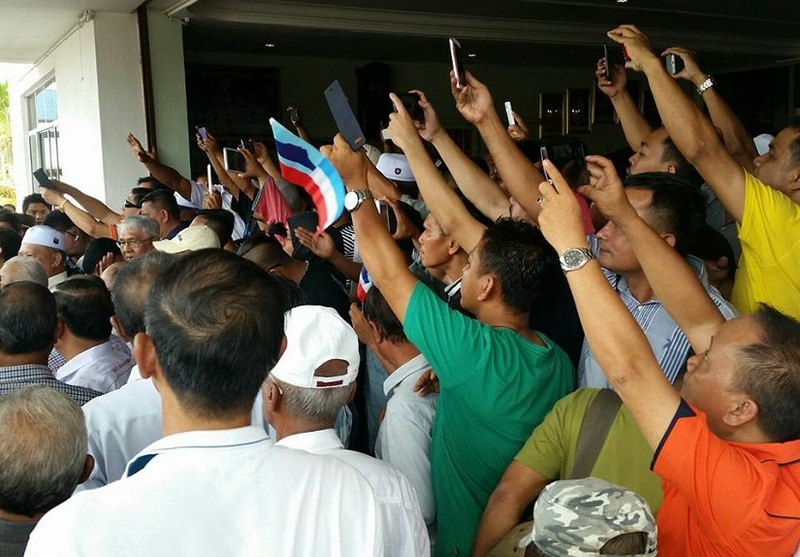 At a gathering at the Hakka Hall here, representatives from seven areas within the region handed over thick stacks of application forms to Warisan president, Datuk Seri Haji Shafe Apdal witnessed by a crowd of more than 2,000, thousands more mingling in the courtyard. 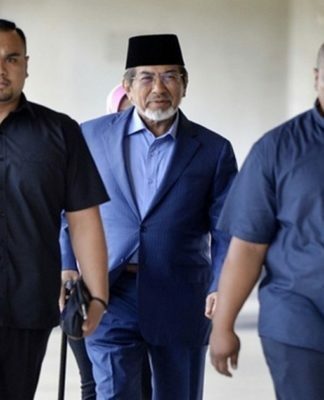 The highest number of members came from Kinabatangan with 3,250, followed by Beluran with 3,000 applications and another 2,550 from Libaran, the Umno stronghold of Musa. Sekong had 1,800 applicants, Sandakan another 1,000 while Karamunting and Lahad Datu showed up with 700 and 500 respectively. 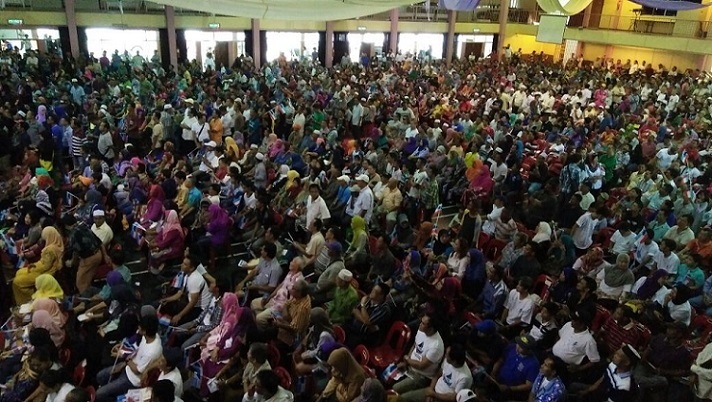 Another section of the crowd that attended the Warisan event for Sandakan on Sunday. Some 12,800 people signed up to be members. 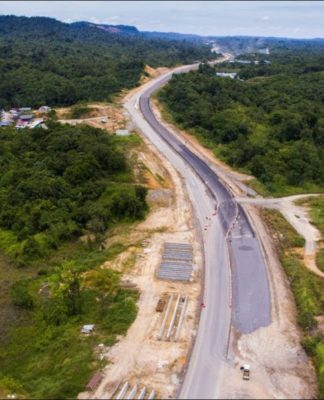 Many more forms were not filled up in time or collected by division coordinators, said a Warisan headquarters official, adding this will be done in due course. Later when speaking to the media, Shafie described it (membership) as a good sign for the barely two-month old party. The Semporna lawmaker, who was accompanied by his deputy, Darell Leiking and most of his leadership, said it wasn’t just the numbers that was encouraging but the ‘quality’ of its members that comprised young professionals and community leaders. “I sense that they too are aware that something good is taking place and they want to join the bandwagon, and that is good as long as they are willing to sacrifice and fight for the people,” he said. Those who could not find a seat inside were patient enough to wait outside and listen to the speeches. Here they show heir eagerness to record the arrival of Shafie and his leaders. Shafie in his speech earlier urged the people not to be afraid to express their discontentment with the ruling Barisan Nasional; they could sign up to join Warisan’s struggle to “ubah” or “Change Sabah. “There can be no reward without first sacrificing,” he said while rousing the people to vote for a “Sabah for Sabahans by Sabahans”. Among the gathering was former Sabah PKR Wanita chief, Hajah Johair Matlani, and a daughter of former Kuamut Assemblyman, Malek Chua. 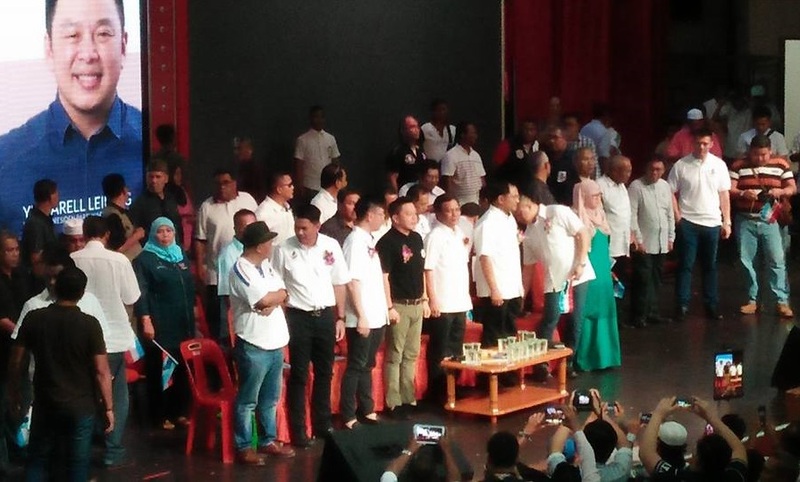 A former Berjaya assistant minister, Datuk Kolnah Ghani was also seen in the gathering organised by Sulabayan Assemblyman, Datuk Jaujan Sambakong together with a former DAP stalwart George Hiew and his team, with several DAP grassroots leaders following in the footsteps of Likas Assemblyman Junz Wong. 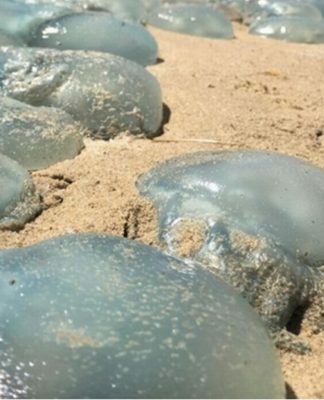 They too opted for a Sabah based party to fight for Sabahan rights. 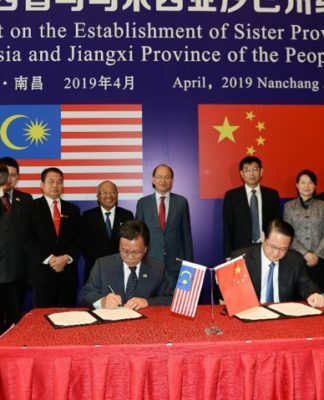 Speaking further, Shafie said Warisan was founded not to stir hatred, but to look into policies that are supposedly unfair in terms of development distribution in the state. He expressed confidence that Warisan would be far better than the BN based on the party’s goals to develop Sabah in various aspects. “I’ve been in the government for 30 years. I have told government leaders that if (they) want progress, there must be a balance in terms of development. Meanwhile, Hajah Johair admitted it took her nearly two months to get aboard the Warisan ship. 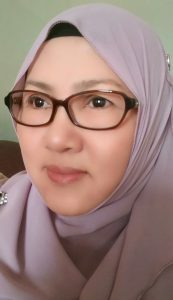 “I finally decided that I would want to be in a party that has integrity and therefore Warisan is my choice,” said the former Sabah PKR Wanita chief. 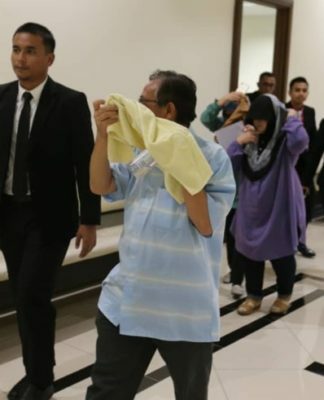 Many had assumed that the former school principal would join Klias Assemblyman, Datuk Lajim Ukin now the president of Parti Harapan. According to Shafie, some 200,000 membership application forms had been distributed and over half the amount has been returned filled up and subscribed for. Barely two months since its registration but Warisan is certainly a party to watch out for ahead of the 14th general elections.